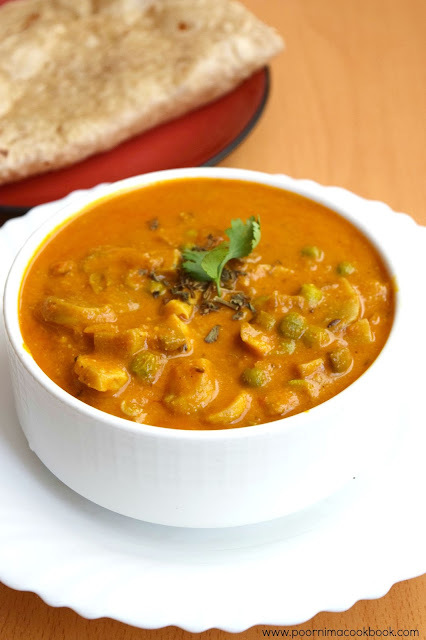 Mushroom peas masala is rich and delicious north Indian special dish. 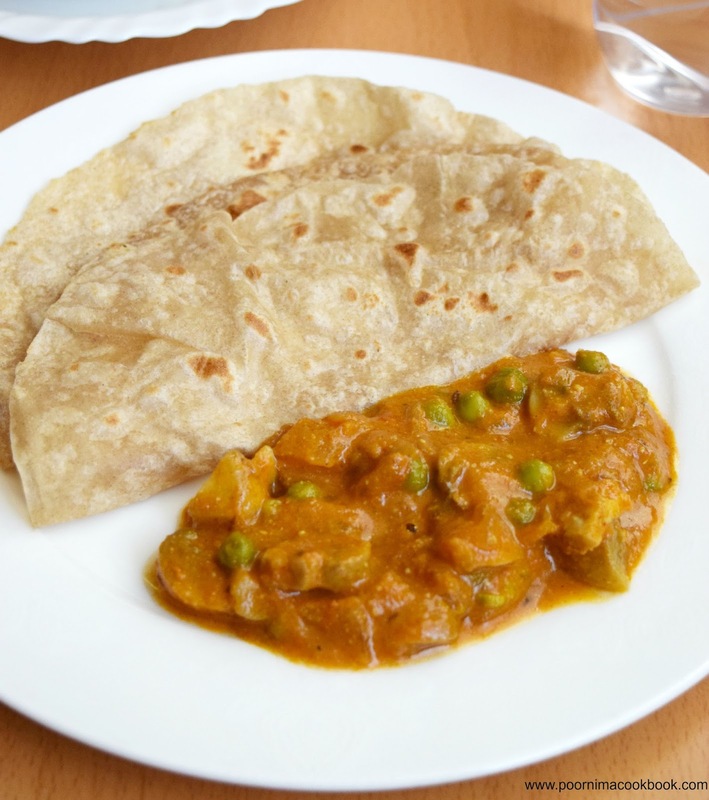 Cashew nut is a key ingredient in this dish to give it a rich taste. Try to use fresh mushrooms for best taste. This gravy suits well for chapathi, roti and any flavoured rice variety. Grind tomato, ginger, garlic and cashew nut with water to a fine paste; keep aside. Heat oil / butter in a pan; add cinnamon and cumin seeds. Once it crackles, add finely chopped onions and sauté. Once the colour changes add tomato mixture along with kashmiri chilli powder, coriander powder, sugar and salt. Add ½ cup water if necessary and allow to boil. Add mushroom and green peas, mix well. Close the pan with the lid and allow to cook in medium flame for 5 to 10 minutes or till the oil separates. Garnish with kasurimethi and corriander leaves. 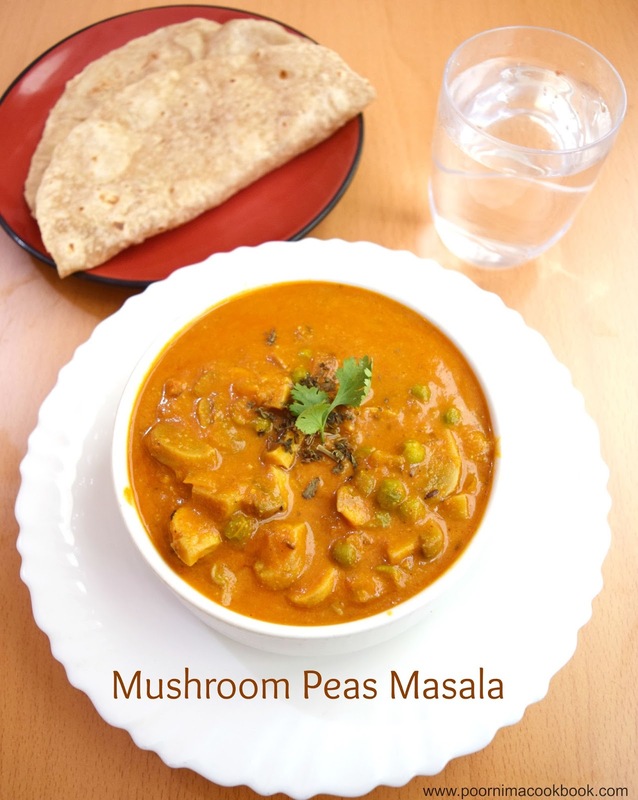 Your Mushroom Peas Masala is now ready to be served hot! You can also add ¼ to ½ cup milk or 1 or 2 tbsp cream at last to give creamy texture to the dish.